Interestingly, Satyameva Jayate is releasing alongside another film based on patriotism, which is Gold. Starring Akshay Kumar, the said film is a period sports drama revolving around India’s first win at the Olympics. Gold, which also marks the debut of TV actress Mouni Roy, is expected to hit the silver screen on August 15, commemorating the occasion of Independence Day. There is also another film that will release during this Independence weekend. We are talking about the comic caper Yamla Pagla Deewana Phir Se. The third instalment in this Dharmendra, Sunny Deol and Bobby Deol franchise is releasing after five years. 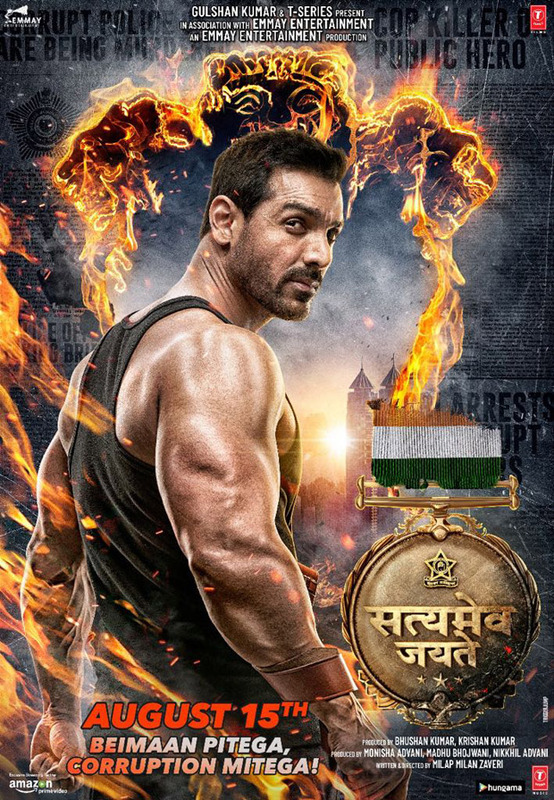 Coming back to Satyameva Jayate, the film is directed by Milap Zaveri and is produced by Nikkhil Advani, Monisha Advani, Madhu Bhojwani of Emmay Entertainment and Bhushan Kumar of T-Series.